Seeing Iron Man 2 last month got me all aflutter for the upcoming Marvel movies connected to the Iron Man series (for the record, the list includes Thor, Captain America and The Avengers, but not the Spiderman revamp nor the X-Men spinoffs). This week, some costume designs have shown up for both Thor and Captain America. There’s a ton of stuff I like, but some stuff I’m concerned with. I’m slightly perturbed by how futuristic it looks. Granted, Thor the Super Hero has traditionally been a reincarnation of the Norse God (who had no memory of being Thor), so having a sci-fi look to the costume isn’t entirely out of the question. But man, take off the cape and this looks a little too Wachowski brothers for me. It the black leather pants, I think. It also is very reminiscent of the black spandex of the X-Men films. If Thor and the other new movie series are trying to move away from that style, why does Thor’s costume look like this? And maybe it is just me, but I think Thor looks better with the short sleeves so often seen in the comic books. He’s supposed to have enormous muscles (being the strongest god in Asgard and all), but who can tell with those faux-armor spandex sleeves? And I miss his helmet. Come on, Thor should have a helmet! But I do like the design of Mjolnir. And here is Captain America. I actually like this one much better. The film itself is going to be set during WWII (the traditional backdrop of the Captain’s origin) and the costume reflects that era. I love his helmet in particular (very GI), but the belt and boots are also really great. I’m still not entirely sure about them casting Chris “Already the Human Torch” Evans in the role. Considering the boots, gloves and suspender-like chest, I’m with the many Whedonites who pushed for Nathan Fillion to get the role (despite the fact that the actor is Canadian). Still, the costume is definitely in the right direction for the character. And I’m still glad it is going to be set in the 40s. It’s the right way to do it. By the way, did anyone else know that Kenneth Branagh is directing Thor? Does that seem like a mismatch to you, too? Nathan Fillion would have made an epic Captain America. Or even Michael Trucco, the newbie on Castle. Evans just isn't doing it for me. Still haven't seen Iron Man 2! Must remedy this soon. Everything about Thor seems mismatched to me. Especially the costume. He looks like someone from a rival biker gang in Sons of Anarchy who decided to show up at Comic-Con, thinking he needed a cape. Not feeling it. I'm with you, that first one is very "Thor-of-the-future". I can't decide if I like it or not – It does have similarities to his comic outfit, but it just doesn't jive with me. 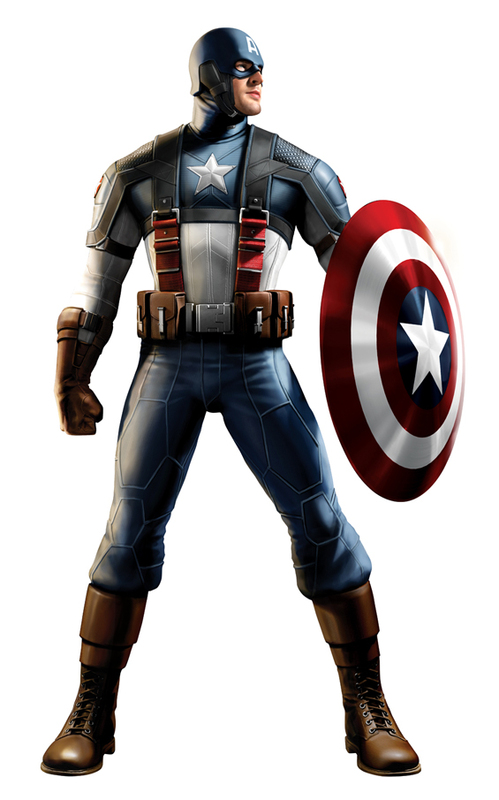 Captain America's duds though…. Now that's a fantastic design. The concept art for Captain America does seem appropriate for World War 2. The Thor concept art is not as good as the earlier "teaser" shot of Hemsworth suggested. I have a new novella “Soldier of the Brell” coming out soon. Sounds a little bit too cheesy for my liking.